The Heart Disease and Stroke Program (HDSP) focuses on the prevention and management of all types of cardiovascular disease, a term that encompasses a variety of diseases and conditions affecting the heart and blood vessels. 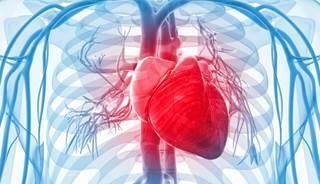 The most common cardiovascular diseases are heart disease and stroke. Cardiovascular disease is the leading cause of death in Hawaii; cardiovascular disease and stroke are responsible for almost 4,000 deaths per year. Over 18,000 hospitalizations every year in Hawaii result from cardiovascular disease, accounting for about 22 percent of all Hawaii hospital costs. The good news is that cardiovascular disease is largely preventable. HDSP works with community health workers, pharmacies, insurers, health organizations and federally qualified community health centers throughout Hawaii to promote blood pressure screening, education and management to at-risk populations. In partnership with quality improvement organizations, HDSP works to effect change both at the systems and the community levels. 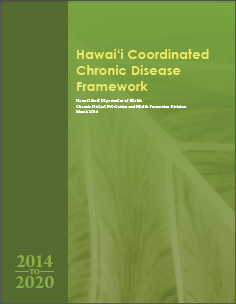 HDSP is federally funded through a cooperative agreement with the Centers for Disease Control and Prevention. Community Health Workers (CHWs) are community-based lay public health workers who are trusted members of the community served. CHWs serve as the liaison between the health and social services sector and community members. CHWs also facilitate access to services and improve the quality and cultural competence of service delivery. 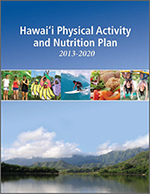 HDSP works closely with the Bilingual Health Services Program as well as the Hawaii Community Health Worker Association to ensure that CHWs have the necessary resources and tools to educate their communities about high blood pressure and other risk factors for cardiovascular disease. HDSP has also formed partnerships with community organizations, state colleges, and local health systems to promote the importance of CHWs as a member of the care team through grant-based strategies. HDSP works with the American Heart Association, the Hawaii Primary Care Association and the Hawaii Community Health Worker Association to implement a self-monitoring blood pressure monitoring pilot program, which began in the fall of 2017. The pilot trains and deploys CHWs throughout the state to help community members manage their blood pressure and to serve as a link to resources in order to assist in chronic disease management. Through this program, 100 blood pressure monitors are being provided to CHWs for use in communities across the state. CHWs work with members of their community to educate them about self-monitoring blood pressure and helping to link these members to appropriate care services in the health system.